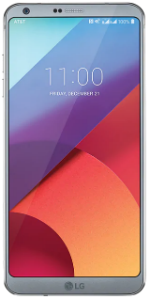 The LG G6 duo is a phone that comes with a 5.7-inch FullVision QHD+ display with a resolution of 1280x720. It runs on a 1.4GHz Quad-Core Qualcomm Snapdragon 821 processor with 4GB of RAM and 32GB built-in storage. A microSD card slot is available for up to 2000GB memory expansion. There is a 13-megapixel main sensor with video recording at 4K quality and a secondary 13-megapixel sensor. In front, there is a 5-megapixel camera. The LG G6 duo comes with a 3300mAh battery, NFC, and runs Android 8.0 Oreo out of the box.